Eron DeMarchelle isn't supposed to feel this connection. He is a Sandman, a supernatural being whose purpose is to seduce his human charges to sleep. Though he can communicate with his charges in their dreams, he isn't encouraged to do so. After all, becoming too involved in one human's life could prevent him from helping others get their needed rest. But he can't deny that he feels something for Julia, a lonely girl with fiery red hair and sad dreams. Just weeks ago, her boyfriend died in a car accident, and Eron can tell that she feels more alone than ever. Eron was human once too, many years ago, and he remembers how it felt to lose the one he loved. In the past, Eron has broken rules to protect Julia, but now, when she seems to need him more than ever, he can't reach her. Eron's time as a Sandman is coming to a close, and his replacement doesn't seem to care about his charges. Worse, Julia is facing dangers she doesn't recognize, and Eron, as he transitions back to being human, may be the only one who can save her. . . . Even once they've become human again, Sandmen are forbidden to communicate with their charges. But Eron knows he won't be able to forget Julia. Will he risk everything for a chance to be with the girl he loves? 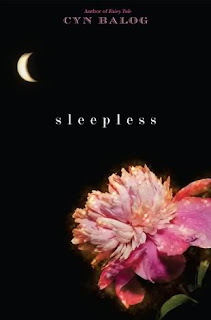 I thought Sleepless sounded like a fresh new take on paranormal YA. But it fell flat for me. I thought the book was slow, so, so slow. The characters were not realistic or believable. I didn't really like anyone. Eron was okay, just okay. I hated just about every other character. I thought the romance was creepy and stalker-ish. The book as a whole was entirely forgettable and I can't even remember the ending (less than two weeks after I read it!). I tried this authoress one and didn't dig her. How disappointing. I have heard numerous bad reviews about this one but the author seems nice from what I've read about her. I haven't heard about this book, but judging by the review I don't know if I need to find out more. To bad you didn't like it, I hate it when a book disappoints me, no matter for what reasons.